Very soon I’ll be passing things over to Tom Buckland. Tom is a very clever SEO who founded Ghost Marketing, based out of the UK. I’d “known him” for a while on the interwebs, but we recently connected when I saw he was ramping up as an Authority Builders customer and coming to the Chiang Mai SEO Conference. 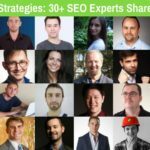 In this article he’s going to be going through a high-ROI link building campaign that he used to significantly propel his client’s organic growth. 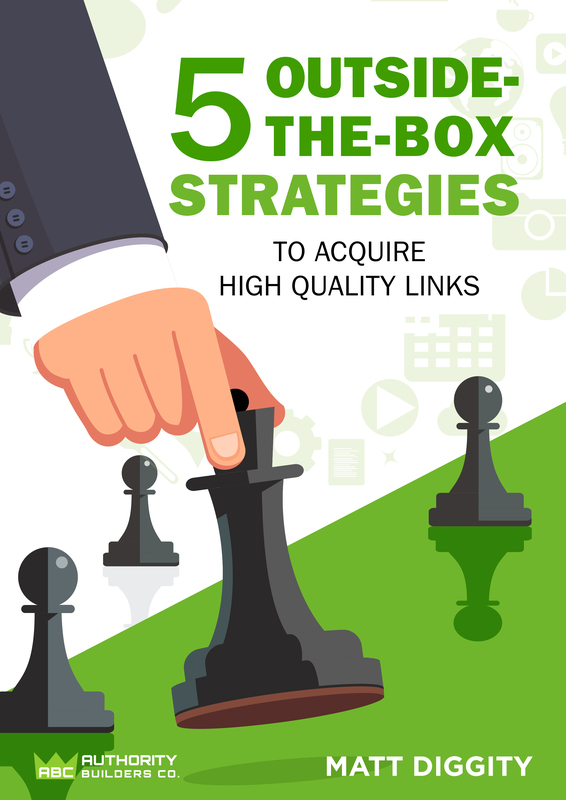 When it comes to link building, quality is a tough metric to analyse, but one thing most SEOs will agree on in the 2019 onwards Google era is quality over quantity. I would take 10 great editorial links over 100 average links any day of the week. 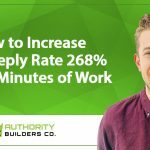 Most people know that link building offers a great ROI and is a fraction of the cost of traditional marketing, PR or advertising techniques. A lot of people overestimate the number of links required to get great results. This really does depend on the “quality” of the links in question, which boils down again to the techniques you use to achieve said links. Again, it all comes down to quality over quantity. The case study we are going to examine demonstrates this principle. Through a data-driven approach, we built a small number (18) quality, highly relevant links for a client. At the end of the project’s timeframe, the results were significant, with huge increases in sales leads and revenue, and an overall ROI for the client of around 1000% for the brand-new targeted lead generation site. The project described in this case study was conducted over a 6-month period. We took on this project as part of our smallest link building package for an almost brand-new lead generation site. The client was a B2B service provider which offered a very specialised service. For this reason relevancy was extremely important. At the start of the project, they were generating essentially zero sales through organic search. The client had struggled for a long period of time to generate links or rankings, and organic traffic had suffered considerably – A familiar story agency owners hear from clients, usually with an element of distrust around the potential link building or SEO service being offered. Build links to the correct pages within the client’s site. Build high quality, relevant links (Quantity wasn’t so important). The screenshot below shows the organic traffic to the client’s site, generated through the organic search feature on Ahrefs. As you can see, traffic was extremely minimal, and after a small increase in Jan 2017 had dropped to close to zero before we began our project in November 2017. Leads generated through links had the potential to generate high revenue for the client, with the average first sale of new business being between £1,500 and £6,000. Therefore, the potential impact from even a handful of small links was significant. As part of our research into which links to build, we looked at the pages from the client’s site which were already ranking on page 2 or page 3 of SERPs. More importantly, we looked at the pages which were ranking this way for extremely powerful keywords. One of the key tools we used in this case study, and that we use daily in our agency, is Ahrefs. As part of our data-driven approach, we used this tool to analyse both the clients’ site and top ranking competitors. This is incredibly useful to gain a baseline for any link building project, track progress and measure results. Pay attention to Ahrefs’ traffic value but take this particular metric with a grain of salt. In our experience working with clients, we have found that Ahref’s traffic value is generally very much of an underestimate. We would generally take Ahref’s estimate of organic traffic and multiply it by 5 to 10 times to get to an estimate of what we will see as an actual traffic value. For example, the below screenshot shows the estimated traffic value on Ahrefs for an eCommerce site, which is estimated at $480K per month by Ahrefs. However, we know from Google Analytics that this site earns approximately $5 million through organic traffic alone. The next step in analysing any site through Ahrefs is to check the backlink profile in Ahrefs, by looking through the anchor cloud section. By looking through the links, you can see pretty easily whether the links are branded, relevant and natural, or if they appear spammy. If a site you are working on has unnatural links which may attract an unnatural link penalty, it is important to disavow these links before the penalty is applied. 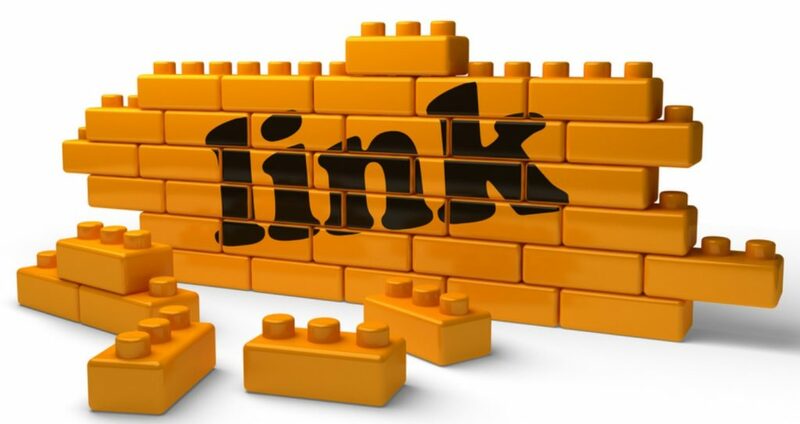 Obviously, the aim of any link building strategy is to build a strong backlink profile. However, it is not just about the number of links. Links which come from quality sites – that is authoritative, well-known sites and online publications – carry much more weight in real terms, both in terms of SEO and in driving organic traffic. Furthermore, a link from a top site in your industry is highly valuable because it is virtually unbeatable by your competitors. Build 100 links from lower value sites and these can easily be replicated by your competitors. However, build links from some of the most reputable and authoritative sites in your niche and it will be almost impossible for your competitors to replicate this, even if they look at your site and work out where the links are coming from. For this reason, we conduct undertook a long-term digital PR strategy involving research into the top industry sites and effective outreach to them. Next, we identified the best anchor text to use for the links we were going to build. The anchor text of the link needs to have the most relevant and profitable keywords which you are aiming to rank for. For this client, we knew that relevancy was critical. Because they had a very specific service offering, ranking for variations, synonyms and other terms would have a huge impact in terms of ranking for organic traffic and could triple organic revenue. 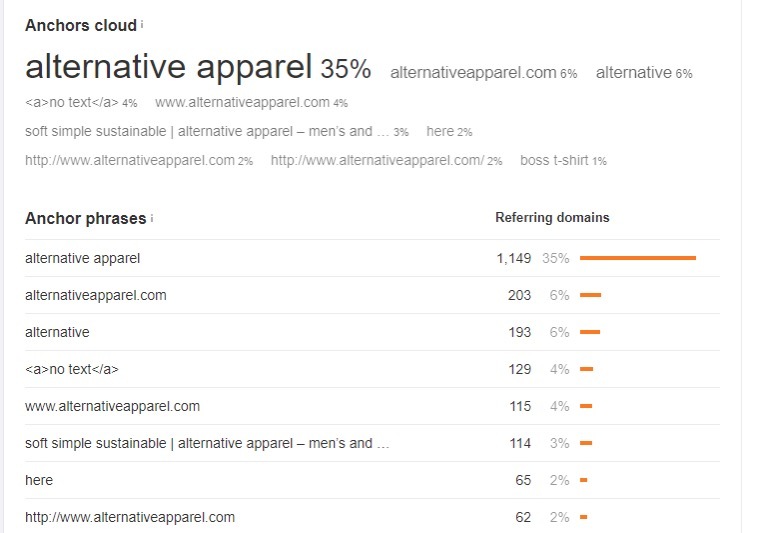 We used Ahref’s site explorer function to research the most relevant keywords by reverse engineering keywords from top ranking competitors. The first step in this process is to identify the top-ranking competitor sites – this can be as simple as doing a Google search relevant to the business and seeing what are the sites which rank at the top of page 1 of results. As a final step, we checked the competition of each keyword on Ahrefs in order to avoid hyper-competitive keywords. This essentially comes down to weighing up keyword search volume versus competitiveness. Keywords with high search volumes can obviously be beneficial as they have the potential to reach a much larger audience. However, these keywords are also likely to have much more competition, including well-known, established online publications which are very difficult to rank against. Which strategy you pursue, or how you combine both strategies, will be different in every situation. For example, established sites with a strong domain authority may choose to aggressively pursue rankings using highly-competitive keywords. Newer sites may choose to build their domain authority by targeting lower-volume and low-competition keywords. The keyword search volumes in this case were relatively low, at 10-200 searches per month in most cases. However, low competition levels for these combined with the client’s specific service offering meant this approach had huge potential to drive organic traffic and revenue. The next step was to work out which pages of the client’s site we should build links to. As a guide, we started by looking at the pages of the client’s site which were already ranking on page 2 or page 3 of SERPs for relevant keywords. 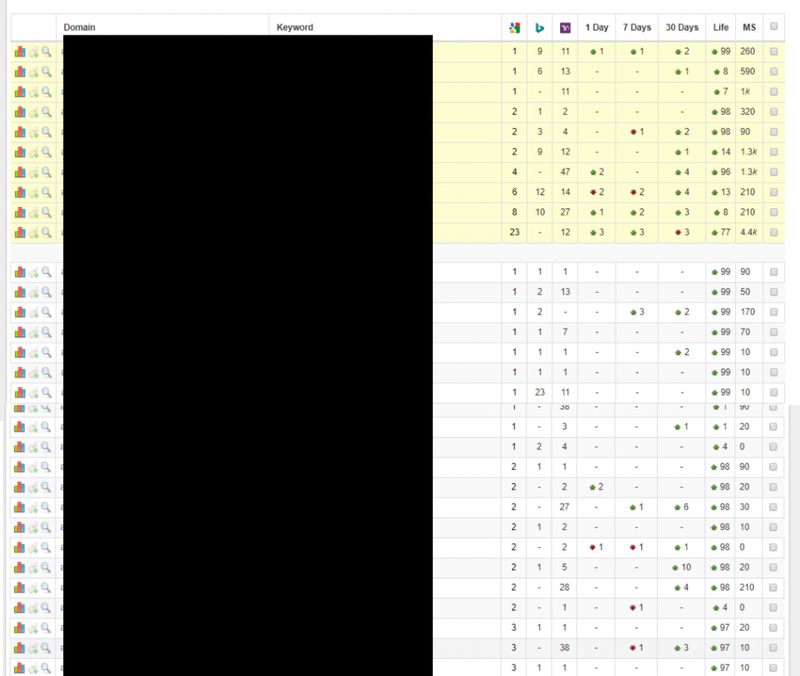 We used the site explorer function in Ahrefs to see which pages were currently ranking well for our target keywords. We then took this information and used it to build links to these pages. In this case, this actually meant primarily focusing on building links to the client’s homepage, which is relatively unusual. Most of the time it is most advantageous to build links to already high performing content within the site. If the site has a quality, useful blog post which is already performing well on Google, building links to this post will improve the post’s rankings and can drive it on to the first page of results. However, it is also important not to over-optimise. While taking a data-driven approach, you also need to apply judgement in order to avoid pulling out irrelevant keywords, while still keeping competitiveness in mind and avoiding hyper-competitive keywords. This is essential to achieve the goal of meeting the best ROI efficiently and as soon as possible. 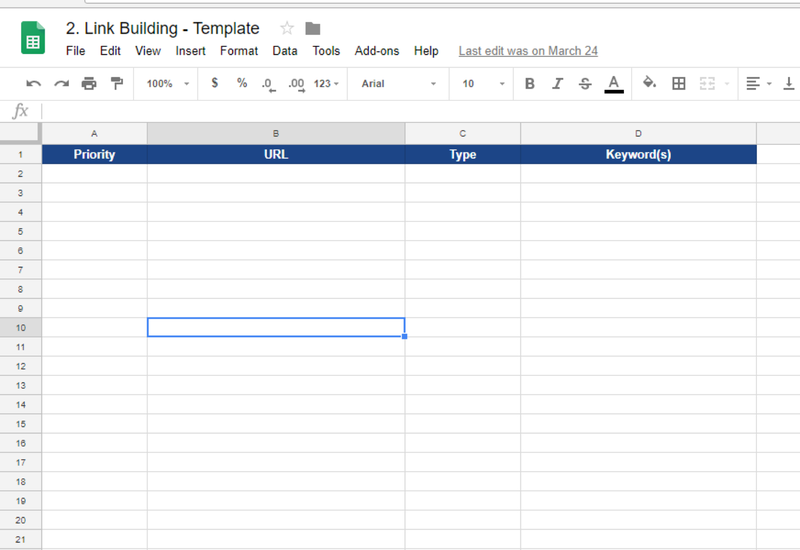 We then compiled this on a Google sheet to get a summary of the target URL and keywords for the links we would be building. This can be tracked in a variety of ways, but we find Google sheets a simple and effective way to compile and track this, in a space which allows collaboration between our team and the client. We then simply built out the spreadsheet based on the budget of the client, number of links, anchors and data from Ahrefs. Increasing volume of links in a reliable way is a very tough part to add. 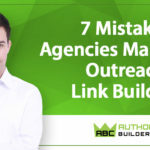 If we’re aiming to build 20 links a month but are going to be a bit behind, having a service such as the one that Authority Builders runs is incredibly helpful. Although our main focus is on content creation and digital PR, using a platform like this is a great supplement to increase total number of links in a reliable, quick and most importantly safe manner. Just purchasing post and knowing it’ll be live in 6ish days really helps keep the agency scaling and filling in any gaps. It also helps that ABC has a network of sites you can choose from enabling us to keep niche relevancy very closely focused. Interface is also 10X better than most of the other services on the market. For the digital PR segment, we identified the top 100 blogs in the client’s industry and specific to their bridged-niche, looking at the most popular relevant sites in the industry. A bridged-niche is where we’ll take a client’s real niche (say SEO for example) and build a bridge to another industry (say fitness for example). If you approached a fitness site as an SEO agency stating the generic “can we write a guest post” you’ll get ignored 99 times out of 100. 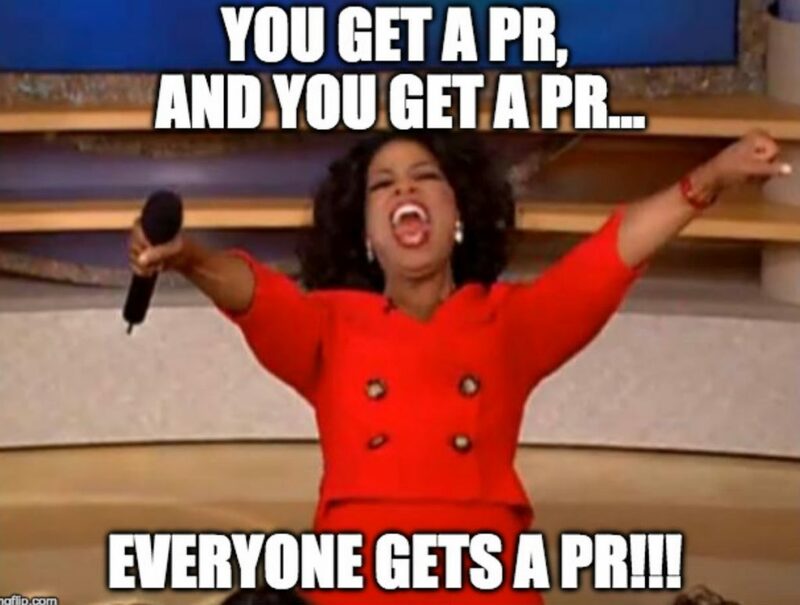 But if you create a bridge or an angle, such as: “Hey, we’re building a piece of content on how personal trainers can generate more business through Google” – Your results will go through the roof. We then reached out to the editors of the blogs and offered to become a contributor. This process is simple enough but is extremely time-consuming and draws out over time as you need to wait for responses from the editors which can take weeks or even months, follow up and so on. Many companies do not invest the time and energy in this process, meaning excellent opportunities for powerful, relevant links for those who are prepared to suffer the frustrations and waiting required. As part of the Digital PR component of this project, we developed a non-media list of the top 100 blogs in the client’s industry which were relevant to their niche. In other cases, we often build both non-media and media lists. It depends on the business, niche and the overall strategy. In all cases, we apply a personalised approach to all outreach and therefore have a much higher success rate compared to a scattergun approach of sending generic emails to thousands of prospects. We work on building relationships and rapport with our media and non-media contacts as an important part of the process. In this case study, because the client had such a specific service offering, it would have been difficult to find enough quality sites in their very specific niche. Therefore, we looked for “niche-bridge” opportunities: those which were related and relevant to the client’s service offering. Our strategy was to pitch in-depth guides to be published on their blogs. Because we were pitching to top industry sites, we wanted to use quality, detailed and interesting guides as offering a valuable form of content. As already mentioned, the approach in this case was slightly unusual in that we were aiming to build links to the client’s homepage rather than to other content or posts on their site. The in-depth guides we requested to create for these sites included links back to the client’s homepage. The majority of the 18 quality links we built linked to the homepage directly. However, four of these links were to inner post pages on the client’s site. For these, we then internally linked back to the homepage using the target anchor text. As part of our process, we always conduct a backlink analysis of relevant competitors to get insight into which backlinks are working well in the niche. This can be done very simply using Ahrefs’ backlink analysis features. Conduct a Google search for the keywords you have already identified and pull out high ranking sites, avoiding listlicles and similar. You can then run these sites through Ahrefs’ site explorer and see the URLs’ backlinks profiles. You will want to filter these by: 1) One link per domain, 2) Dofollow links only and 3) English. This will get results down from the hundreds and a manageable amount for analysis. Once you have these results, you can scroll through the links to see which may be useful for your link-building strategy. Of course, you will want to exercise judgement to ensure they are relevant, authoritative and “buildable”. The other approach we took as part of this project is something which is not very common in link building: to build the customer’s brand. For this client, the brand name was also the primary keyword, so building the brand and targeting keywords were closely linked. Digital PR and content marketing are both solid brand building strategies in their own right. In this way, brand building and link building have a great synergy, with the same techniques working together for shared goals. We focused on keyword variations, making sure to include all possible variations of the keywords in order to achieve rankings in all possible relevant searches and hence capture as much traffic as possible. 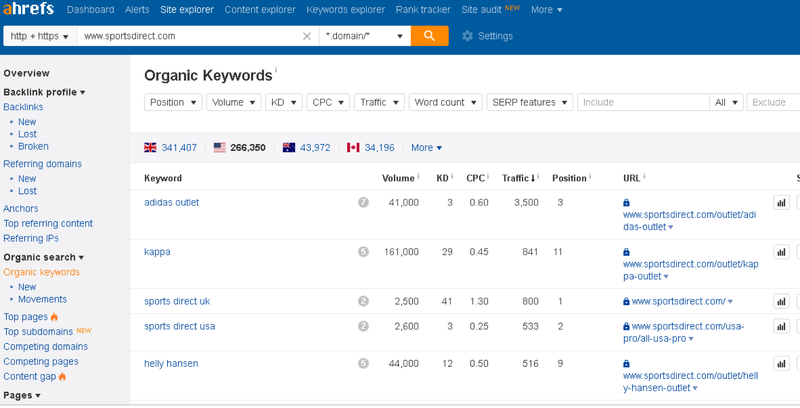 In order to identify keyword variations, we used the keywords explorer function in Ahrefs – which helps generates additional topic queries, even on very generic searches. Obviously keep an eye on anchor text and over-optimisation as this can result in a lack or movement or a penalty at worse. To do this we were careful to maintain anchor text diversity. While it is critical to make sure to include relevant keywords in anchor text for great SEO, Google penalises sites which are over-optimised through too much repetition of the same primary keywords in anchor text. As we know, in this case the brand name was also the primary keyword. Therefore, we needed to be extremely careful in not over-using branded anchors (that is anchor text which was the company name), which would result in over-optimisation. We aimed for 5-10% of branded links in the anchor text only, and using keyword variations, synonyms and even generic options for the rest. The key tool we used to measure the KPIs and results of the project was Google Analytics’ organic search feature. Although this tool is influenced by the quality of technical and on-page optimisation, this remains one of the best ways to measure organic traffic and therefore measure results in this type of project. The screenshot below shows the steady increase in organic searches over the project period of November 2017 – April 2018. Finally, we used serpbook’s tracker tool to see keyword performance over time in order to make any adjustments or improvements. The screen shot below shows results for our core, highly profitable keywords in the top section, and all keyword variations we were looking to rank in the section below. Over the course of the project, we built a total of 14 links to the home page and 4 links to inner post pages. 18 links built over 6 months, that is just three links per month may seem like a low result. However, our approach is always to assess results from the perspective of ROI (return on investment). The end result for the client was 18 links delivered with £12k Per Year Link Value, with a monthly ROI of 1000%. At the end of the six months, the project was generating 30 new leads per month, a 550% increase in organic leads. The average first sale from new customers was £1500-£6000. Overall the company’s revenue increased by £12,000-£18,000 per month, based on the 18 links built. Thus each link built was individually worth £1,000 per month, or £12,000 per year. This represented a monthly ROI for the customer of around 1,000%. The client also saw exponential increases in terms of rankings and traffic. Looking again at the screenshot of Ahrefs organic traffic feature for the client, we can see that after the project commenced in November 2017 there was a significant increase in traffic. The results were not immediate, but started slow and gained momentum over time, resulting in huge growth over the 6-month project timeframe, and particularly in the last two months. You will also note that growth continued past the end of the 6 month period as the impacts of the strategy continued to develop. Having this strong result means we can now continue to build off this success and develop a larger link building campaign targeting more competitive keywords. These incredible results in terms of ROI show the importance of quality over quantity when it comes to link building. At our agency, ROI for our clients is always our primary focus and the number one KPI. With an ROI of over 1000%, and an increase in revenue of £12,000-£18,000 per month from just 18 links, this case study demonstrates the effectiveness of data-driven link building which focuses on building quality, relevant links. The results did not happen overnight – the entire project ran for 6 months, with results starting gradually and then scaling up over time. However, once the investment started to pay off, this pay off was significant. What’s more, these results lay the ground work for continued business growth and great potential for further development through link building.